Colour blocking is a trend that’s been gracing the red carpet and catwalks for the past few months and now it well and truly working its way into the high street and in people’s wardrobes. But you probably knew that. So why am I bringing it up? Well, I’ve never big on colour in my own wardrobe, definitely more of neutrals, pastels and matchy-matchy outfits kinda girl. Colour blocking looks fabulous on my fellow bloggers and I’ve seen some looks out and about looking fantastic on people. I don’t quite have the courage to do it myself, but with all this summer sunshine the bright pops of orange, purple and greens have me running to the shops. 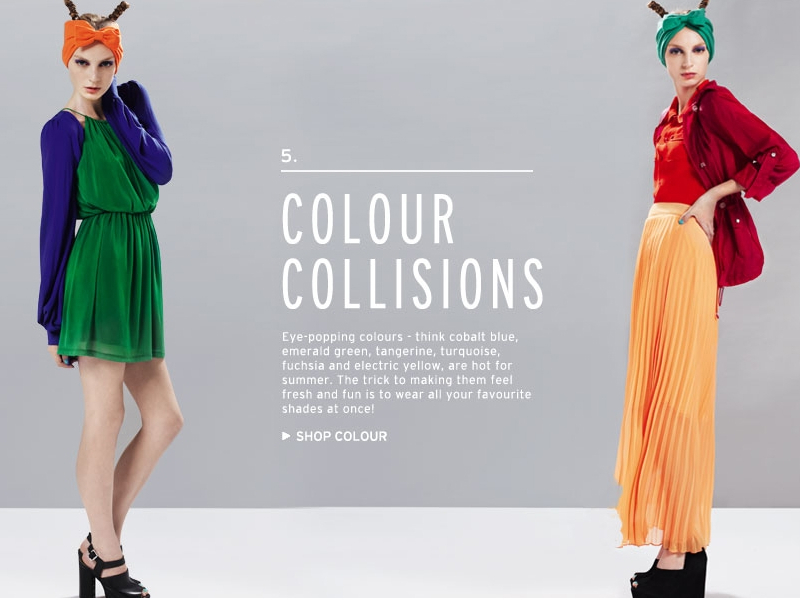 Any ideas on how to incorporate colour blocking into a colour phobic’s wardrobe?